Has the white line changed color to a black or dark gray? Does the line appear to be “stretched”? Is there a crack or separation? Do you notice a foul odor? Are there long wide spots? What causes white line disease in horses? 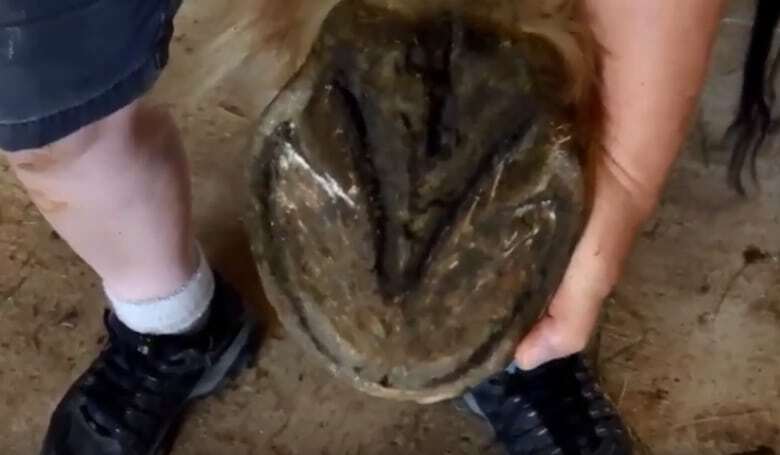 This condition occurs when the white line becomes damaged, allowing fungus and/or bacteria to break down and destroy the tissue connection within the hoof. And it’s painful for your horse. So just how should you deal with this? While there are numerous treatments in common usage, most of them present drawbacks. Chemical Disinfectants: As these are water formulations, penetration is poor. In addition, their use can, given repeated exposure, have negative consequences for the horse and the caregiver. Bleach: Using a bleach solution is a popular way to deal with thrush: likewise, hydrogen peroxide or chlorine dioxide is sometimes used. The problem is that, even though they kill germs, they cause damage to healthy tissue at the same time. And worst of all, the damaged tissue just invites NEW infection! Tropical wood oils: As these are sensitizers, they are exposure hazards, both for the horse and the caregiver. Topical Antibiotics: Another case of not penetrating well. Also ineffective. The FDA has even delisted some of these. “Natural Cures”: Low concentration levels and poor penetration render these generally ineffective. So you can see the problem: Common treatment methods are largely ineffective at best, and hazardous at worst… AND may even induce new infection. What’s needed is something that’s non-toxic, doesn’t harm healthy tissue, doesn’t harm the environment, but yet is guaranteed effective. Unlike many other methods, use of Equinell™ is not hazardous to the horse, the caregiver, or the environment. And unlike those other methods… it actually WORKS! Equinell™ Hoof and Mane Oil, applied on a regular schedule as directed, can help restore healthy white lines. It will help with the infections, and allow the hoof to grow normally. Often the hoof will grow faster for a few months, which helps the process along. 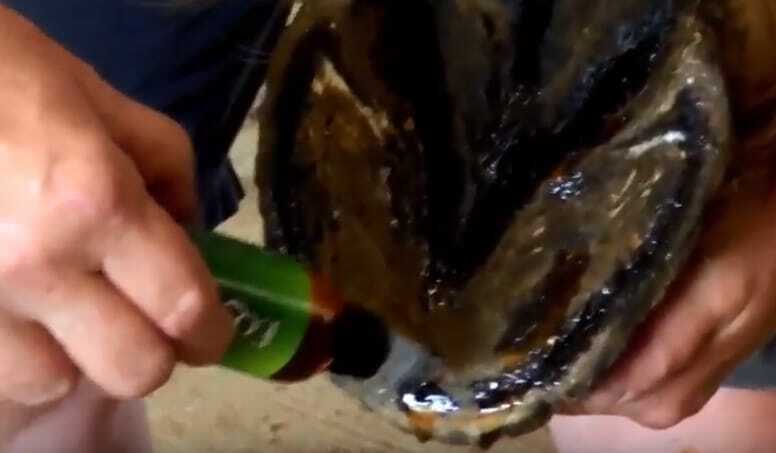 My entire life I have attempted to help horses in any which way I can, and Equinell™ Hoof and Mane Oil is an important milestone to hoof health, one of the most overlooked and misunderstood areas, even for vets and farriers. 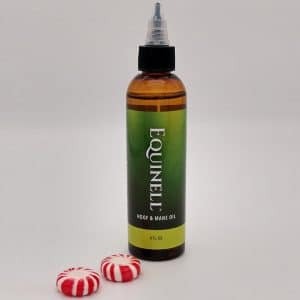 Lots of horse owners have used Equinell™ Hoof and Mane Oil with amazing results! If your horse suffers from white line disease, don’t put it off any longer. Act NOW to make your horse look and feel better… sooner! We think you’ll be blown away with how effective Equinell™ Hoof & Mane Oil is when applied to your horse’s hooves. In fact, we’re so sure, that we’re offering a Good to the Last Drop Guarantee. 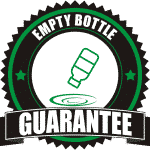 Use the entire bottle and if you’re not 100% satisfied we’ll refund the entire cost of the product, no questions asked. Hasn’t your horse suffered long enough?